The study of recurring plant and animal life cycle events is phenology. It is the calendar of nature. This includes when plants flower, when birds migrate and when crops mature. Phenology is relevant to interactions between organisms, seasonal timing and large-scale cycles of water and carbon. Phenology is important to us for many reasons. Farmers need to know when to plant and harvest crops and when to expect pests to emerge. Resource managers use it to monitor and predict drought and assess fire risk. Vacationers want to know when the best fall colors will be or when the wildflower blooms will peak. Timing varies but we can discern patterns. The USA National Phenology Network monitors the influence of climate on the phenology of plants, animals and landscapes. They encourage people to observe phenological events such as flowering, migrations and egg laying. The Phenology Network provides a place to enter, store and share these observations, which are then compiled and analyzed nationwide. Participants range from individual observers in their own backyards to professional scientists monitoring long-term plots. My husband and I monitor leafing and flowering of lilacs, a key species in the program. These observations support a wide range of decisions made routinely by citizens, managers, scientists and others. This includes decisions related to allergies, wildfires, pest control, and water management. I urge you to participate. The National Phenology Network has many public, private and citizen partners. It is a great way to become involved in a nation-wide effort to better understand our environment. 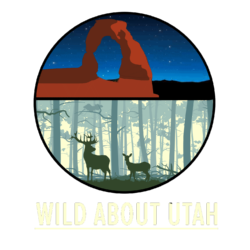 All this information and much more is available at the National Phenology website, to which there is a link from our Wild About Utah website. In Logan Cemetery a granite bench marks the grave of May Swenson, a native Utahn and eminent poet. She was born in Logan in 1913 and attended Utah State University where she published her first poem. She moved east in 1936, and eventually, she became one of America’s most inventive and recognized poets, She won many awards including Guggenheim and Rockefeller grants, the Yale Bollingen Prize, and the MacArthur Foundation Fellowship. Utah State University conferred an honorary doctorate on Swenson in 1987. Despite her many achievements and her years living away from Utah, Swenson never forgot her Mormon heritage or her identity as a Westerner. Nature played a prominent role in Swenson’s work. In fact, she published a collection of poetry called Nature: Poems Old and New which is brimming with imagery that evokes the beauty and complexity of the natural world. Here’s an example: a poem called April Light read by Paul Crumbley, a professor of English at Utah State University who specializes in Swenson’s work. Another of Swenson’s poems describes a well-known natural feature in Utah. Small, everycolored Rocky Mountain flowers. Listening to this makes me feel like I’m standing on the scenic outlook at the summit of Logan Canyon. That is, of course, where Swenson wrote it. Thanks to Paul Crumbley and Maria Melendez of the English Dept. at Utah State University. And thanks to the Rocky Mountain Power Foundation for supporting the research and development for today’s program. Knudson, R.R. and Suzzanne Bigelow. 1996. 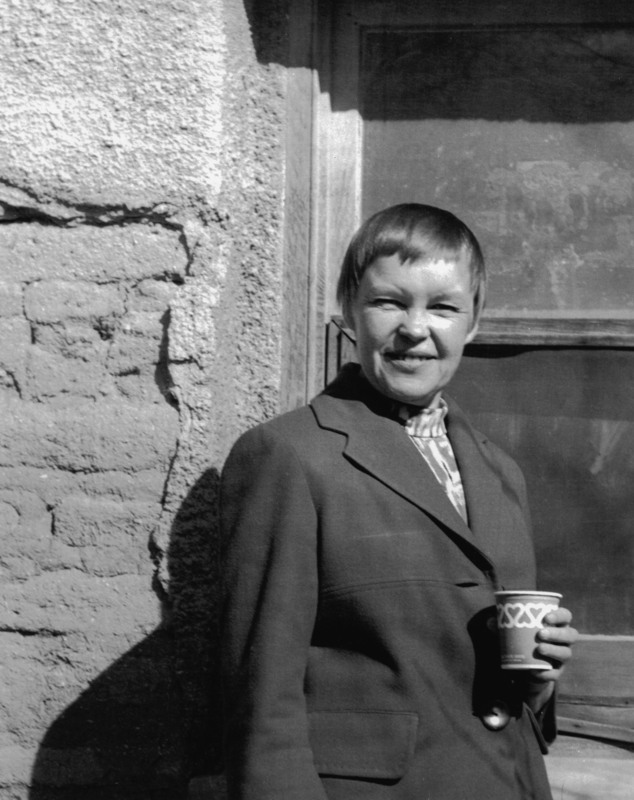 May Swenson: A Poet’s Life in Photos. Logan, UT: Utah State University Press. Swenson, May. 2000. Nature: Poems Old and New. Houghton Mifflin Harcourt. Upon reading the biographies of Allen and Alice Stokes, I’ve started thinking about the word “community.” The Stokes were adopted Utahns. They moved here in 1952 so that Allen Stokes could take a teaching position at Utah State Agricultural College in the Dept. of Wildlife Management. They remained here until they died, Allen in 1996 and Alice just a couple of weeks ago at the age of 93. They both loved nature and took full advantage of their beautiful surroundings here in northern Utah. And they became deeply involved in the community in all senses of the word. As a result, the Nature Center where I work was named after them. Alice and Allen met in 1944 . Alice was working for Dr. Aldo Leopold– the father of wildlife ecology– at the University of Wisconsin. Allen Stokes had taken a summer research job on nesting behavior and was helped along professionally by Dr. Leopold. The Stokes also had a strong sense of community in the social sense of the word. 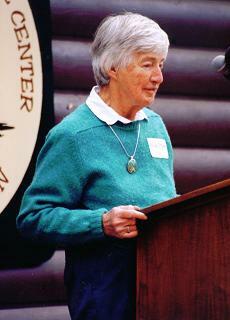 In Logan, Allen organized and led field trips for Bridgerland Audubon Society and eventually became a board member of the National Audubon Society. 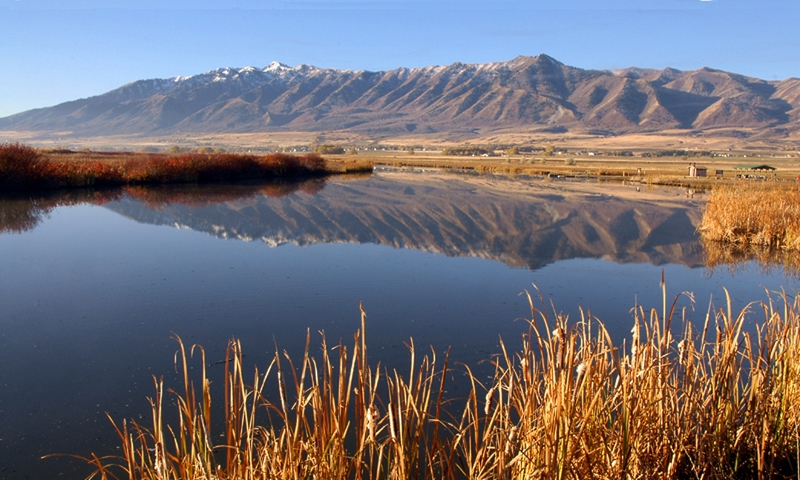 Utah State University presented Allen with the Bridger Award for Outstanding Contribution to Protecting and Appreciating the Environment of Logan and Cache Valley. They worked with the American Field Service to get Logan families to host foreign students. 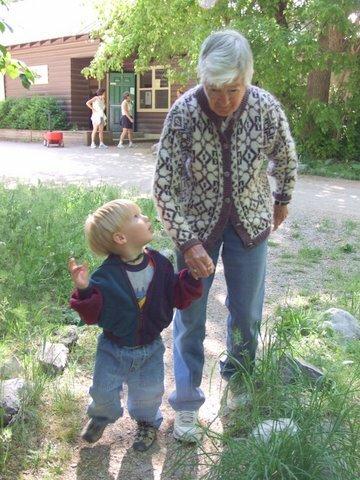 Alice helped establish classes for deaf children here in Cache Valley. She worked with a local organization, CAPSA, to build a Safe House for victims of Physical and Sexual Abuse. She helped expand the collection of the local library. They both participated in peace marches and rallies and vigils against the death penalty. Allen was a lifelong Quaker and Alice gradually converted. The couple helped establish a Quaker community in Logan in the 1970s which still meets today. In 1996 the community who founded the nature center in Logan Canyon asked Allen and Alice for their name. Reluctantly, they gave permission, but Allen said “Only if you put Alice’s name first.” He died before the Center opened, and Alice switched the names so that his was first. Now, after 12 years, we remain the Allen and Alice Stokes Nature Center. I never knew Allen, and I didn’t know Alice long enough. But through my work at the Center that bears their name I often come in contact with people that they influenced. It became obvious to me that the Stokes had a gift for inspiring people to do good things for both natural and social communities. Now, even though the Stokes are gone, that legacy endures. And what could be a better legacy than to instill concern for your community? reception will immediately follow at the College of Natural Resources,USU. Remember Euell Gibbons? He was famous as a naturalist and connoisseur of wild foods in the 1960’s. His best known works were the book “Stalking the Wild Asparagus” and the commercial where he asked “Ever eat a pine tree? You know …some parts are edible.” Well, I made fun of him when I was little, but now I understand that Euell was right. There’s good eating out there—and plenty to munch on in Utah. A word of strong caution for beginning trailside snackers: Take along a professionally written plant guide or preferably a plan expert before chowing down. If you’re in the mood for something with a bit of a punch, then wild onions are for you. They are found in open meadows especially moist ones. Wild onions feature multiple flowers on a single stalk which create a globe shaped inflorescence. Identification is confirmed by the pungent onion aroma. All parts of the plant are edible: flower, leaves and root. While difficult to harvest, stinging nettle can be pretty tasty. The stinging nettle has minute hollow hairs filled with formic acid–the same toxin produced by red ants,–which causes a painful, red rash when the plant is touched. Early season nettles have a sweeter taste and the very top of the plant has the tenderest leaves. Pinch leaves firmly between fingers and thumb; this will crush the hairs and prevent any stinging. Saliva neutralizes the effects of the acid, so leaves placed carefully into the mouth won’t sting. Watercress is sweet yet with an acidic aftertaste. It’s found in moving or still water and has white or pink flowers typical of the mustard family. The peppery leaves are wonderful –it’s great as a snack or on salads with other greens. It is important to rinse off watercress leaves well with clean water before eating to avoid ingesting microorganisms such as giardia. In late summer and fall you’ll find a number of berries to eat. Eat the tangy purple elderberries as the red ones will make you sick if they aren’t cooked; Thimbleberries resemble raspberries but with more seeds—they taste like raspberries too. The thimbleberry bush is thorny with large five-pointed leaves. Oregon Grape is a low-lying plant recognizable by its yellow flowers and holly-shaped leaves. Its sour berries are edible either raw or cooked—but sweet tooths might want to add sugar. Don’t forget the juicy, purple serviceberry which is common in riparian habitats on moist, wooded hillsides up to alpine elevations. These are just a few examples of the many edible possibilities out there. Remember to double check with an expert or a reliable guide before eating any plants that are new to you. From all of us at Stokes Nature Center: Bon Appétit! Tilford, Gregory L. Edible and Medicinal Plants of The West. Mountain Press Publishing Company, Montana, 1997. Moore, Michael. Medicinal Plants of the Mountain West. Museum of New Mexico Press, New Mexico, 2003. The Basic Essentials of Edible Wild Plants and Useful Herbs Jim Meuninick. Globe Pequot Press, Connecticut, 1988. Euell Gibbons advertising GrapeNuts, YouTube: http://www.youtube.com/watch?v=_XJMIu18I8Y (accessed July 16, 2008). Euell Gibbons in the Handbook of Texas Online, s.v. “,” http://www.tshaonline.org/handbook/online/articles/GG/fgi38.html (accessed July 16, 2008).